Come stai? It’s time to get ready for summer holiday season! Don’t worry, this travel special isn’t about learning a new language. 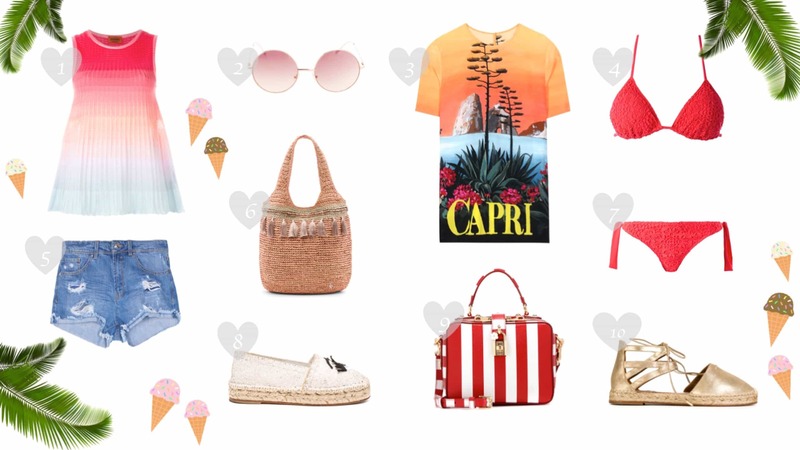 It’s about styling ideas inspired by different countries – to be exact, by typical destinations to travel during summer. I mean, you want to be sure to dress on point regardless of which place you are going on holidays, right? 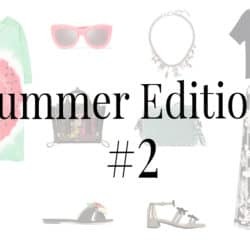 So, in the next few TT editions I will share with you some inspirations to make sure that your summer wardrobe is all set up for those summer holidays. Alora, the great thing about these looks is that they are all inspired by Italy but of course you can wear them wherever you want. Italian fashion is allowed everywhere. 😉 So let me know the picks you liked the most by leaving me a comment. I wish you a lovely day mi amici. Let’s all spread some italian vibes and enjoy la dolce vita. 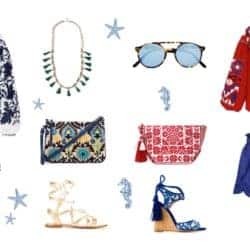 Posted in Trendy Tuesday and tagged Accessories, Aquazurra, Beach, Dolce & Gabbana, Fashion, Inspiration, Italy, Musthaves, Spring Summer 2016, Style, Things to love, Valentino. Bookmark the permalink. Tolle Teile hast du ausgesucht, da komme ich gleich in Urlaubsstimmung! Die Teile machen Lust auf Sommer liebe Carmen und jetzt fängt er laut Meteorologen ja an☉?die Auswahl ist superschön und wie du ja weißt liebe ich deinen Modestil abgöttisch?dein Italienisch (bin selbst Italienerin) ist seeeehr gut?schöne Woche meine liebe? Oh das freut mich sehr liebe Isabel! Viiielen Dank <3 Es scheint, als hätten die Meteorologen recht gehabt. Hab auch eine ganz gute Woche meine Liebe! Ganz ganz ganz viel liebe für die Dolce&Gabana Tasche und die Chiara Ferragni Espadrilles! 🙂 Eine sehr schöne Collage hast du da zusammengestellt!! Love all the things from your list. Interesting and useful post to read. Great job! I just LOVE these outfits! I can definitely imagine strolling through Italy in that gorgeous skirt or the trousers! Each of these outfits seems so comfortable and easy to wear yet so perfectly stylish. Thank you so much Kasie, I really appreciate your sweet words! I seriously love how you website loads with all your cute pictures in a slide show. Soo creative! 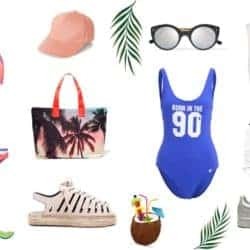 Also loving this post because I’m currently planning my wardrobe for an upcoming Mexico vacation <3 So helpful babe thanks! Great picks! The Capri shirt and this red swimsuit are my favorite. Wow, such nice collections. Both looks are pretty awesome for summers. I love them too, I’m glad you liked them! Carmen, this is perfect timing! I am going on vacation in just a couple of weeks, and my outfits are still not ready, lol. I will definitely think about incorporating some Italian accents into my looks – I am in love with this country and its food, of course. Thanks so much for sharing, beautiful! I’m so happy I could give you some inspiration 🙂 Have a lovely vacation! Aaw wie süss von dir, vielen Dank! Vielen Dank liebe Nissi, das freut mich! Thank you so much dear, it makes me so happy you always check out my inspirations! I’m happy you liked it dear! Wie schön die geblümte Hose ist *. * Allgemein eine sehr tolle Auswahl!